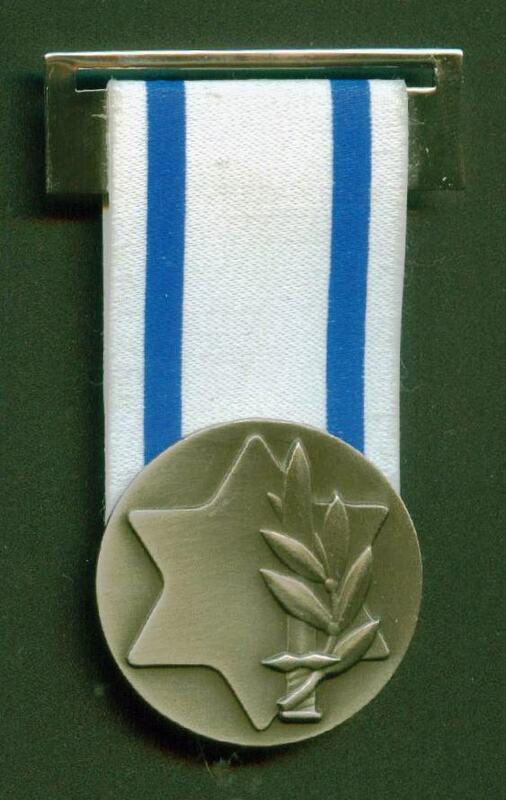 The Government of Israel instituted on April 26, 1981 a decoration called the Chief Of Staff Medal of Appreciation (Ot ha'araha), as "a symbolic expression of appreciation for acts of superior importance that contribute directly or indirectly to the strengthening of the IDF and that significantly benefit the security of Israel." 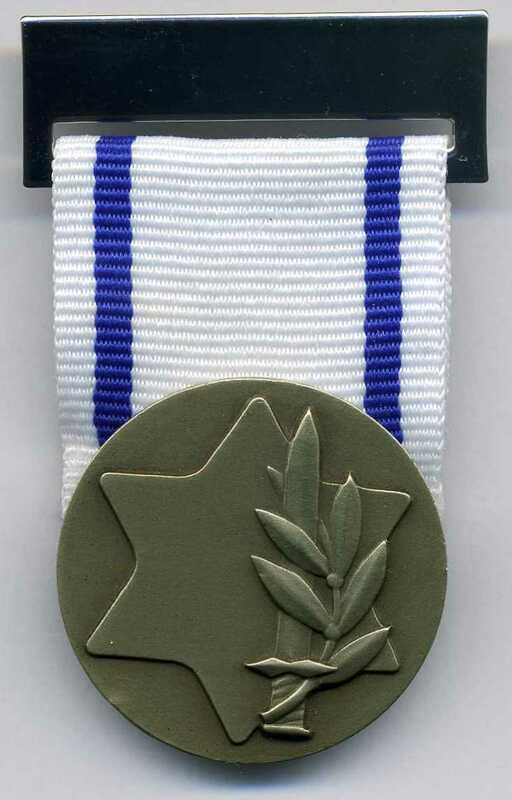 The medal may be awarded to citizens of Israel as well as citizens of foreign states, including military personnel. If the nominee is no longer alive, the medal may be presented to his next of kin. 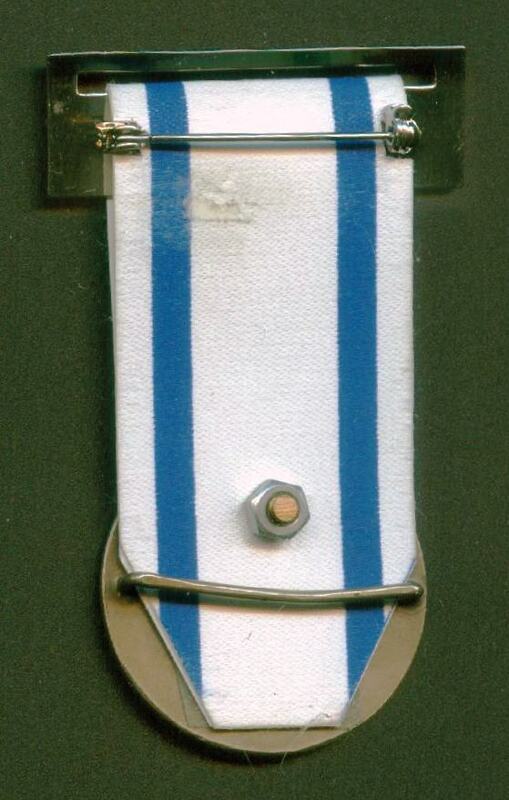 The decoration consists of a silver colored medal connected to a light blue and white ribbon, as the colors of the national flag. The decision to publish the presentation of the medal will take into account the circumstances and identity of the recipient. 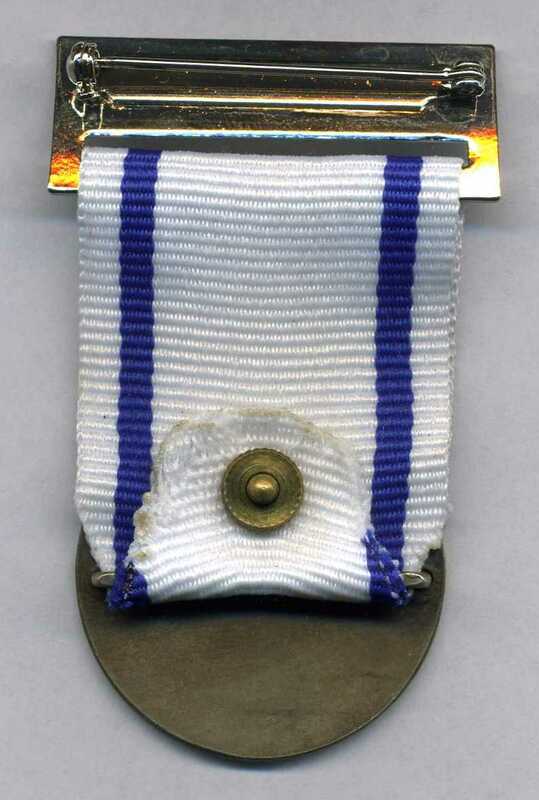 Recipients are entitled to wear the medal at all times. The decorations should be worn at the left chest side. 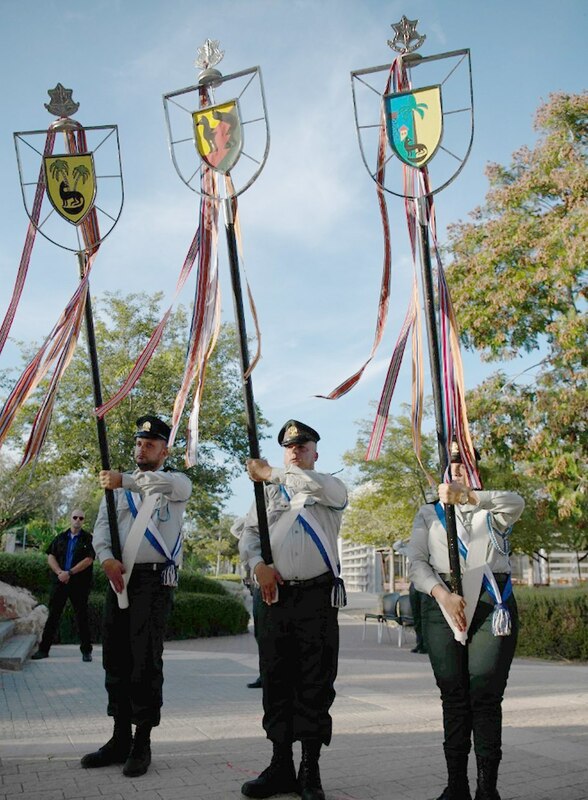 Recipients of the decoration, while in Israel during Independence Day are invited to the opening ceremony at Mount Herzl in Jerusalem. If abroad, the recipients are invited to the receptions organized by the military attache or ambassador of Israel. 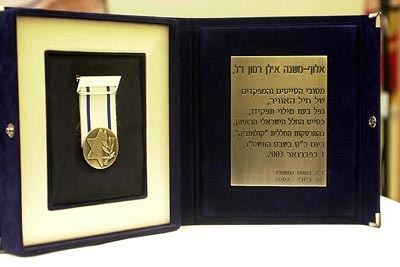 The medal as awarded in 2004 to the family of Colonel Ilan Ramon, Israel's first astronaut. 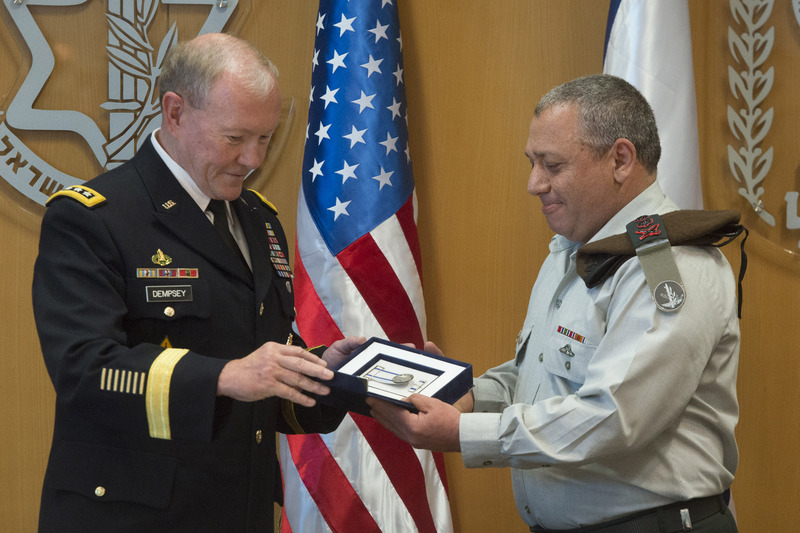 US Joint Chiefs of Staff Chairman Gen. Martin Dempsey receives a medal of appreciation from IDF Chief of Staff Lt. Gen. Gadi Eizenkot, June 9, 2015. 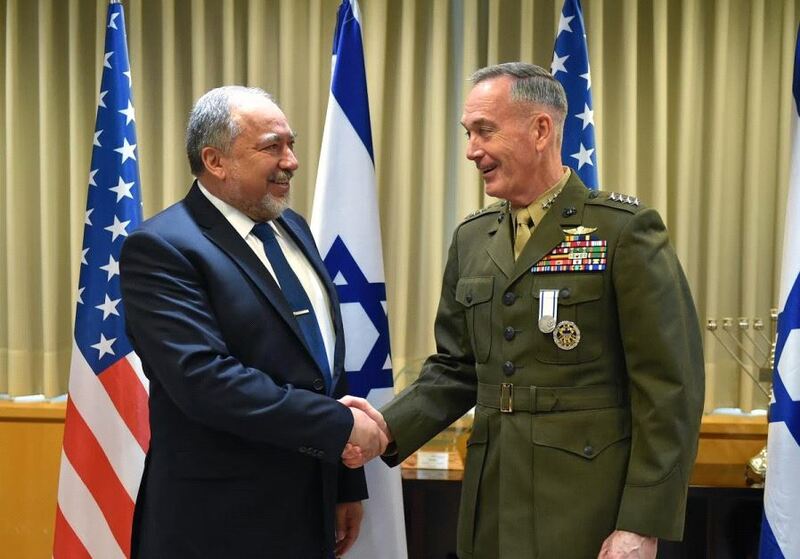 Visiting Israel for the fifth and final time as chairman of the U.S. Joint Chiefs of Staff, Gen. Martin Dempsey met on Tuesday with IDF Chief of Staff Lt. Gen. Gadi Eizenkot at the Israel Defense Forces' headquarters in Tel Aviv. 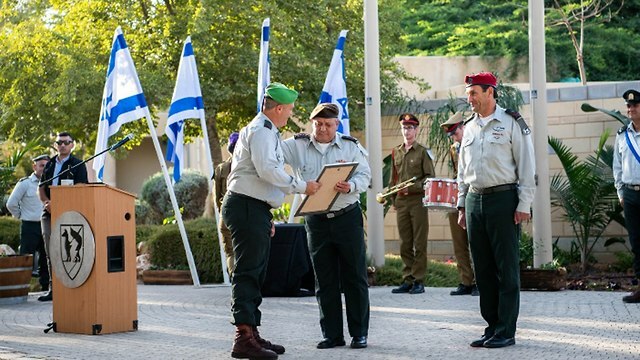 An IDF honor guard welcomed Dempsey, who was given a medal of appreciation by Eizenkot. Dempsey is set to retire in October. US Army General Joseph Dunford, Chairman of the Joint Chiefs of Staff, in Jerusalem, May 9, 2017, meeting with Defense Minister Avigdor Liberman. 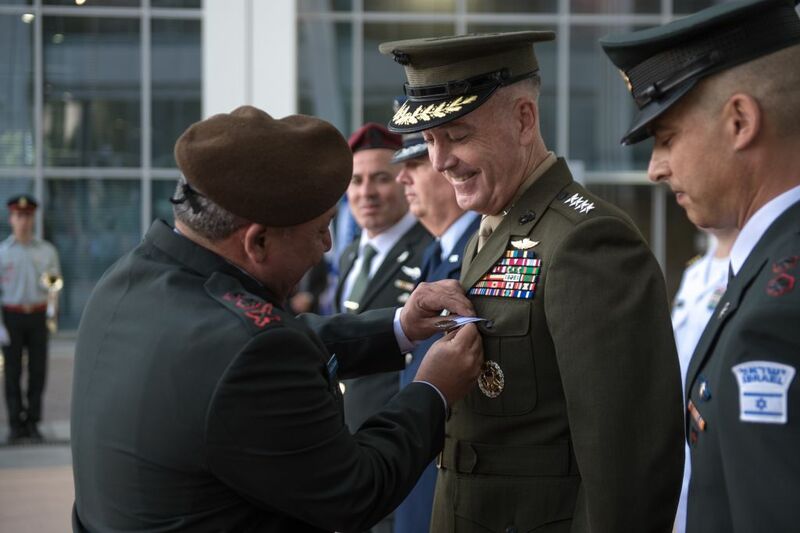 The medal of appreciation was presented to General Dunford by IDF Chief of Staff Lt.-Gen. Gadi Eisenkot. 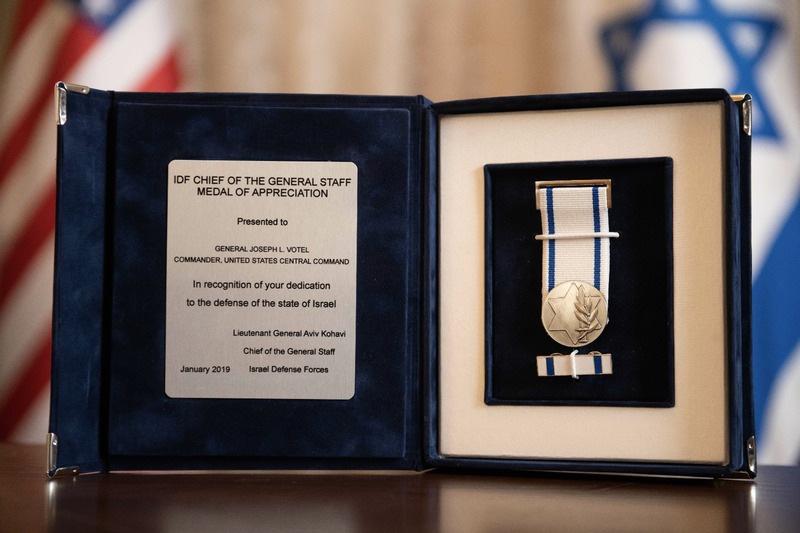 IDF Chief of Staff Lt. Gen. Gadi Eisenkot awarded the Chief of Staff's Medal of Appreciation to the Gaza Division on Wednesday for its activities on the Gaza border and for "its contribution to the IDF and the security of the State of Israel." 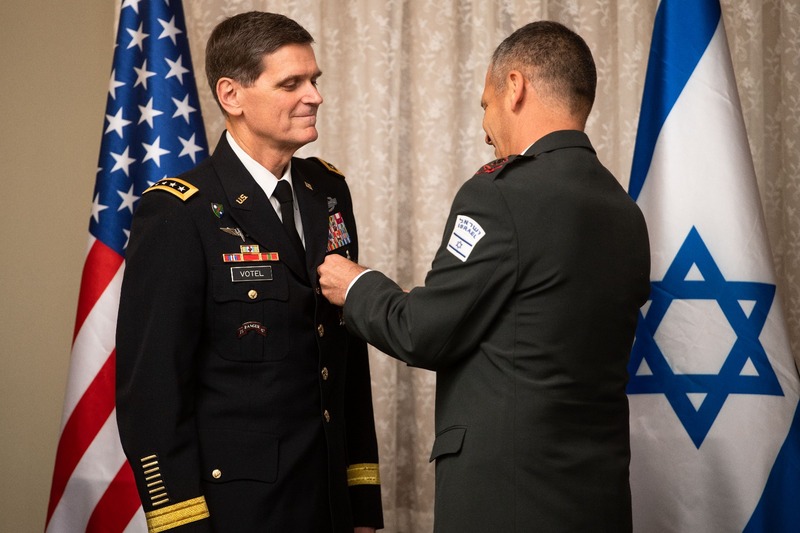 Gen. Joseph Leonard Votel granted medal of appreciation for his work in furthering the partnership between the Israeli and US armies.